You are here: Home / Home / Law Guide / Car Accidents / Who Pays for Injuries and Damages in a Truck Accident? “Big-Rigs” and semi-trucks present some very unique issues both on our roadways and in our legal system. Because of their sheer size alone, they are many times more dangerous than a standard sized automobile. When that much weight gets moving that quickly, it does not take much for a traffic accident to become fatal. When these accidents do occur, and one is curious as to whether they can pursue a claim, the first step is to show negligence. The driver must have actually fallen below a standard of reasonable care for him to be negligent and at-fault. It is possible that the experienced semi-truck driver has done everything right and yet was still unable to avoid the collision. Those instances are somewhat unique, but they happen. When they do, both parties may be reasonable for their own losses. If that is not the case in your accident, and a semi-truck did cause a car accident, one comforting thought is that the odds that you will recover your losses are very high. 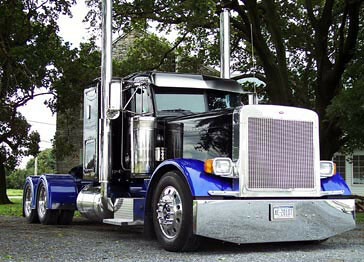 Most semi-trucks are being driven by a professional driver who is an employee of a business. Businesses are responsible for the negligent actions of their agents while they are in the course and scope of their employment under a theory called respondeat superior. That means, that if the driver is negligent, instead of his own car insurance stepping up to indemnify him, the car insurance of the business will step up to indemnify the business. This happens because the business is sure to be buying insurance on their own trucks and listing their employees as drivers as opposed to forcing their employees to pay for expensive insurance on those enormous trucks. Because the business is the one who chose the insurance policy, it is likely to be enormous. That is just the reality. If you were starting a business that involved driving many huge trucks all around the country carrying a variety of expensive materials, you would purchase an enormous insurance policy to protect you against a catastrophic loss. The advantage of this policy having limits that are so high that they will never be reached is that the plaintiff is now able to be fully compensated even in the case of very serious damages. In order to lawsuit, plaintiffs are forced to sign agreements that officially release any and all future claims against that defendant. When one is working with an insurance company, which is darn near always, the agreement will release both the insurance company and the insured party. Because of that, when policy limits are too low to fully compensate the plaintiff, the plaintiff will be forced to accept less than what they deserve if the insured is insolvent. In the case of an employee causing the damage, the agreement may only protect the business, leaving the employee liable for the remainder, but this problem will likely never arise because semi-trucks will be carrying insurance policies that are so large that all potential problems can be avoided. In fact, one other difference in a trucking accident is that punitive damages may become a possibility. If it can be shown that the company had reckless disregard for the safety of other in how they used their trucks, the award may be exponentially larger. When an individual gets into an auto accident with a semi-truck, contacting a semi-truck accident attorney who has experience dealing with truck accidents should be the first item on your list. The attorney can find the correct insurance policy and can help make sure that the injured victim is compensated. Embrace Life – Buckle Up Can Failure to Wear a Seatbelt Decrease my Recovery?